Our Mission at Mott & Shay is to represent Private Timber Landowners and provide them with experienced, expert, professional advice and service in the management of their forests and to maximize their profits when selling their timber and/or land, while adhering to the highest of ethical standards and helping to enhance and protect the environment. MOTT & SHAY, PLLC, CONSULTING FORESTRY AND MOTT & SHAY, INC. REAL ESTATE IS, ONE, AN EXPERIENCED PRIVATE FOREST MANAGEMENT COMPANY AND, TWO, A PROFESSIONAL REAL ESTATE FIRM EACH UNDER THE OWNERSHIP OF GREGORY A. MOTT, RF, REALTOR. Based in Roanoke Rapids, North Carolina on I-95 near the Virginia border we have over 30 years of experience in timber management, timber sales, and land sales & acquisition in both Virginia and North Carolina. 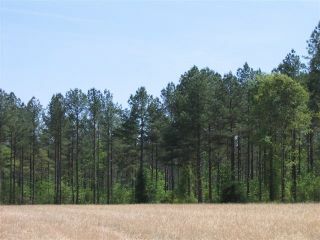 Serving landowners from Fredericksburg, VA to Fayetteville, NC and all areas in between we have successfully managed and marketed tens of thousands of acres of timber and timberland. We work for and represent only you, the private landowner, and do not represent any timber companies, loggers, or timber buyers. MOTT & SHAY will help make your forest management experience very enjoyable and highly profitable. We will provide you with confidential, expert forestry advice and assistance and professional real estate services. Gregory A. Mott and Timothy R. Shay (Retired) formed Mott & Shay, Inc. Consulting Foresters January 1, 1987. Prior to that Greg Mott began his Forest Consulting career in September of 1979 as Branch Manager for James M. Vardaman & Company, Forest Management Specialists ( the largest company of it's type in the U.S. at that time). After working his way up to Sr. Vice President of the Vardaman Company, Greg left to form Mott & Shay. Since then Mott & Shay has successfully conducted over 1,500 timber sales, thinnings and land sales on over 65,000 acres, generating revenues of over $400 million dollars for their clients. We are responsible for the ongoing Forest Management of tens of thousands of acres of privately owned forestland in North Carolina and Virginia. LIST of SERVICES above and contact us. 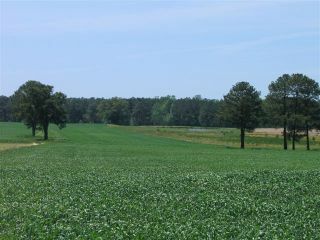 Having sold thousands of acres of farm and timberland and having helped may folks to find just the right tract of land, we can work for you as a Seller's Agent or a Buyer's Agent to help sell your land or help you buy that perfect piece of property. 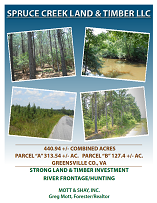 As a Licensed Real Estate Broker in both North Carolina and Virginia and with numerous contacts in the world of Forestry, we have a ready list of both buyers and sellers. As a Realtor and member of the National Association of Realtors and the Roanoke Valley Multiple Listing Services (MLS), you are assured the highest of ethics and greatest exposure of your property. Advertising through the MLS, this web site, local and regional newspapers and trade magazines is a must.